- 100mm fixed focal length; F2.8 maximum aperture. -Macro focusing: 1:1 maximum magnification. 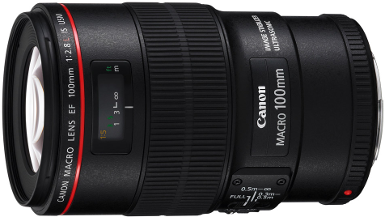 - 'Hybrid' image stabilization system for increased effectiveness at close focus distances. - Canon EF mount for full-frame and APS-C DSLRs.